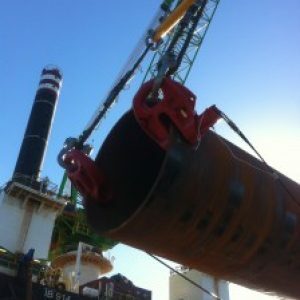 Our supplier Dawson Construction Plant UK, have developed the 100TLifting Shackle that are hydraulically remote operated. 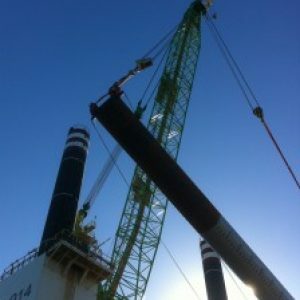 This project was the first time use of the 100T shackles worldwide. 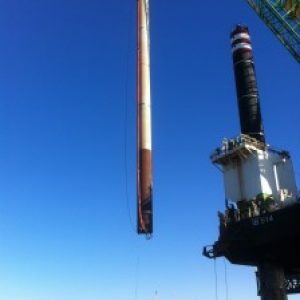 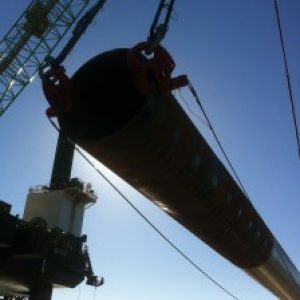 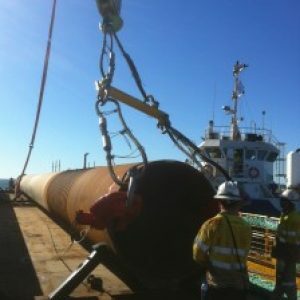 The photos show the shackles being used to lift a tube pile of approximately 90-100T which is just in excess of the capability of a pair of Dawson 40t Ratchet Release Shackles. 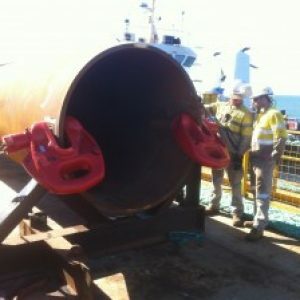 Although the shackles weight 410 kgs each, they can be handled with ease by 4 lifting points to engage it onto the tube in the correct horizontal position at 180 degrees opposite, the hydraulic pump then engages the pins through the tube wall so they are fully engaged by using a spreader beam between the shackles and the crane line, allows the lift to commence, once vertical and in position no doubt many metres above ground level, the pins are then extracted hydraulically to release the tube and complete the lift.